Abdul Majeed Waris imminent move to Girondins de Bordeaux could be finalized in the coming weeks, according to reports in France. The striker is set to sign a deal with Bordeaux after reportedly agreeing terms with the Club. 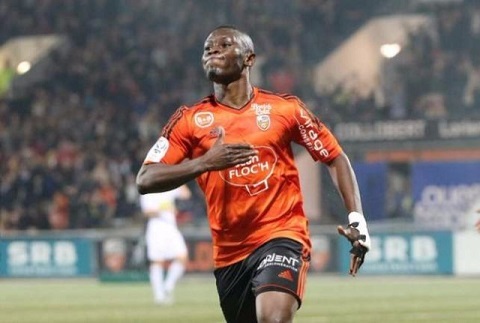 Waris will consider a move to the Club following Lorient’s demotion to the French Ligue 2. The 25-year-old who finished the season as Lorient’s second top scorer with 11 goals have been able to score 20 times since joining the relegated side from Turkish Club Trabzonspor. The Ghanaian international is expected to complete his possible move to the Girondins. Bordeaux Coach Jocelyn Gourvennec has been a keen follower of the striker.